This was actually a really enjoyable break from what was going on with Benio and Rokuro. While you could argue this episode didn’t provide a lot of surprises, it was a really enjoyable ride. 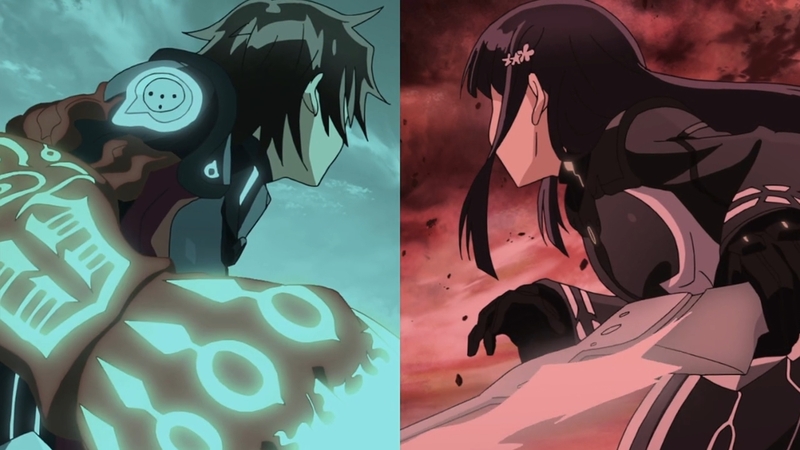 It also mostly broke the standard pattern of Rokuro and Benio finding a Dragon Spot and Basara. While there was a Dragon Spot in this episode, the focus really wasn’t on dealing with that. The focus wasn’t even really on that crisis in general. 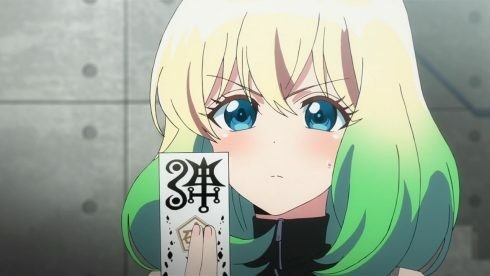 I enjoyed the focus on Mayura and what she’s going through in her efforts to become an Onmyouji. She’s putting in the time and work, but this was a good episode for her to mature. 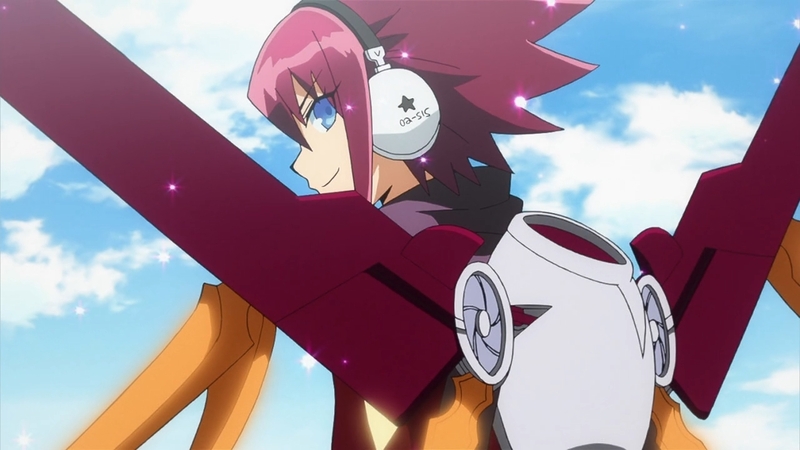 It was also a good chance to give Shimon some focus and more backstory than we’d gotten from him to this point. While that was probably the intention, I will say that pairing Shimon and Mayura up for this episode was enjoyable. 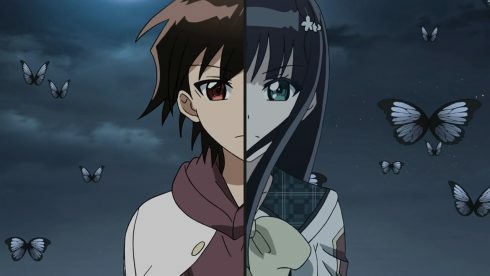 It gives a very different dynamic with these two kind of becoming the main characters for an episode. Shimon didn’t make the best first impression, but that makes sense. They introduced him basically as a rival/goal for Rokuro and thus was brought in to have an antagonistic relationship. But in this episode he could be more of a person. He could help instruct Mayura, have his background explored, and create a potential ship for people to get behind. Of course since this was in a separate arc it’s hard to get too behind it. It could be something original they tossed in or adapted from part of another chapter. But I did like the potential there. 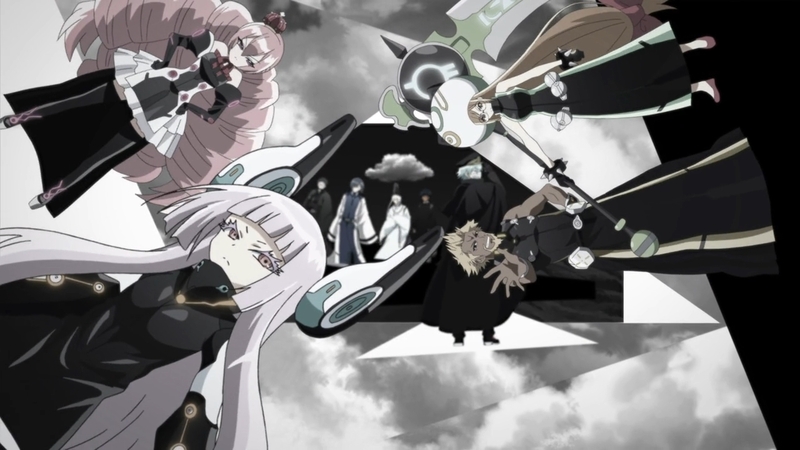 The episode made a point on the similarities between them and where they started. They both started out as individuals who had major flaws, but wanted to help people. 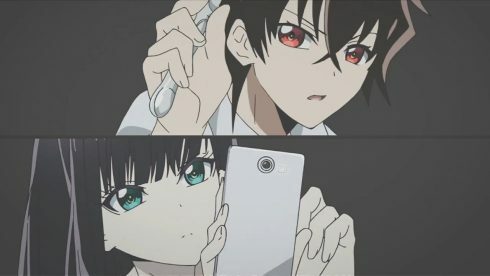 I give props to the show for inverting the “walking in on someone” trope. 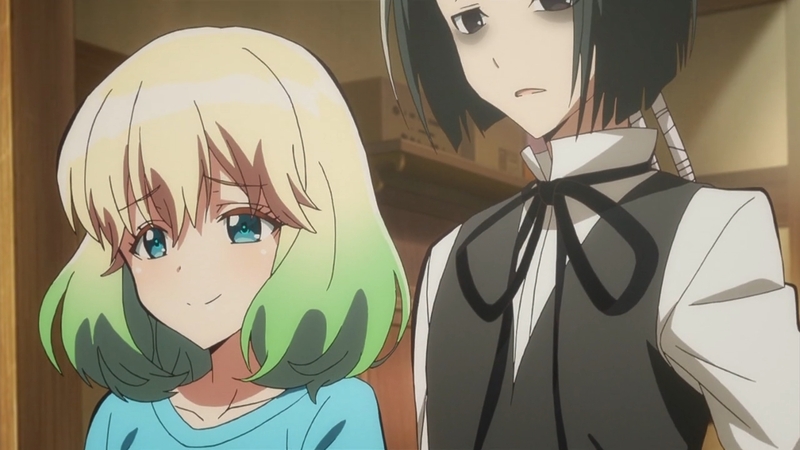 Instead they left that to Mayura. I suppose you could argue that it was a necessity to do it that way. 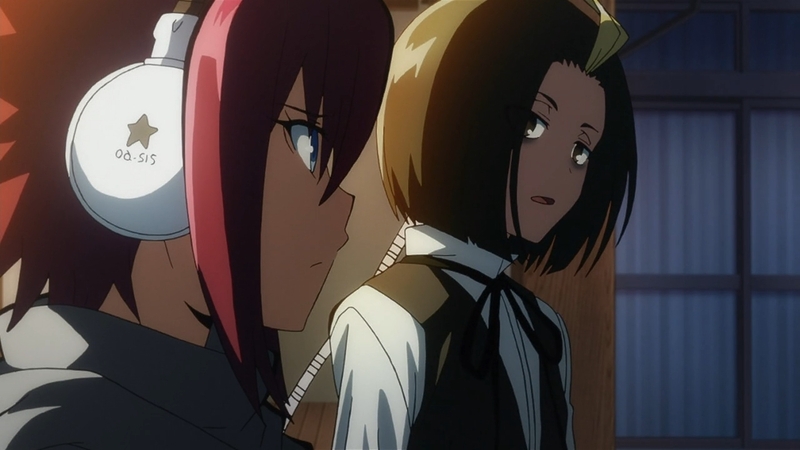 You can develop interest on Shimon’s side through more interactions and just the fact that she’s Seigen’s daughter. 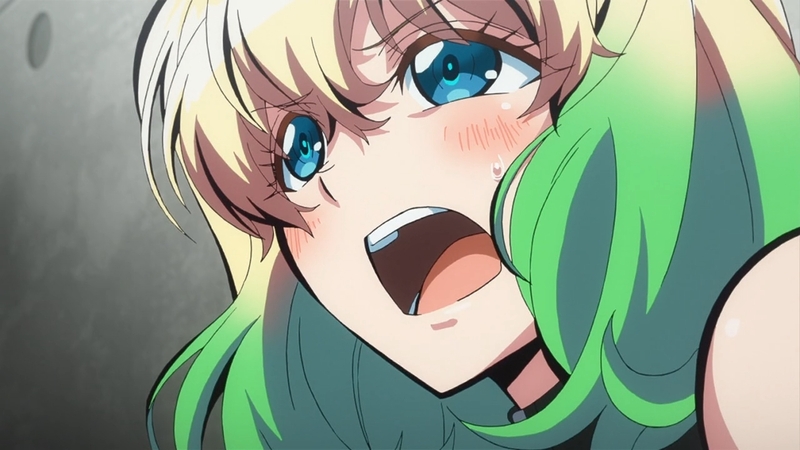 But, Mayura is still in love with Rokuro. If you are going to potentially turn her in a different direction then some very memorable moments could be crucial. 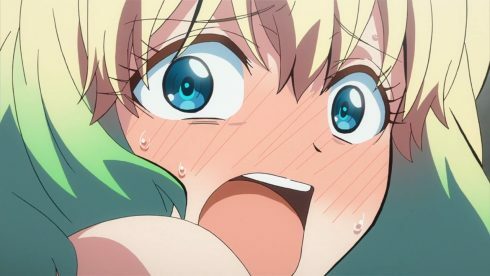 And hey I suppose having her be the silly MC who walks in on someone naked in the bathroom…it could lead somewhere. 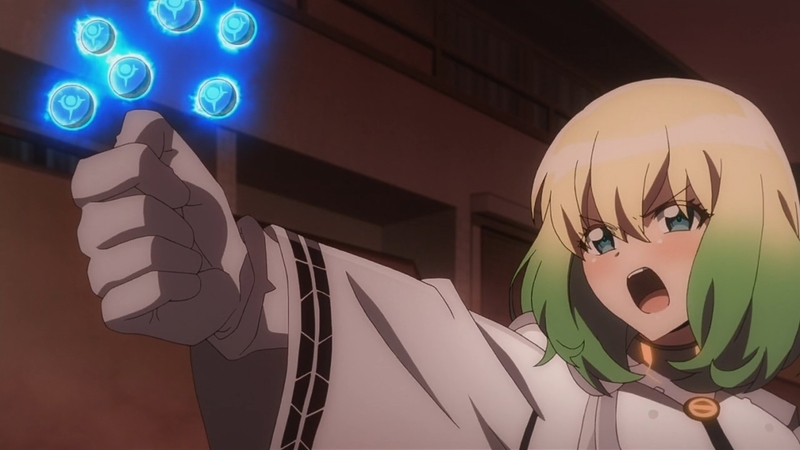 Obviously there wasn’t a shortage of Mayura fanservice. She still got moments of that sort in the episode though it was mostly just in the first half. Plus if nothing else the training room scene was pretty comical. 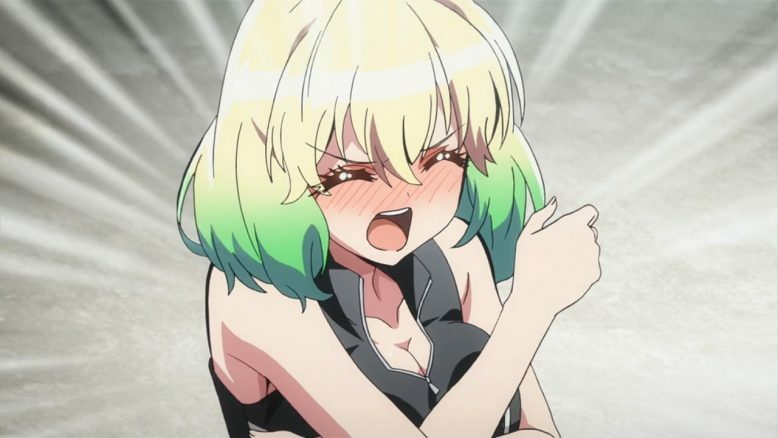 We got another dose of Mayura’s random insults that she just pulls out of thin air. What I did like was getting into Mayura’s head a bit in this episode. I was worried her motivations were entirely about chasing her friends and that was it. This showed that while she does want to catch up, it isn’t just about that. She has the ability to do some good and instead of constantly being rescued, she’s out there trying to rescue others. 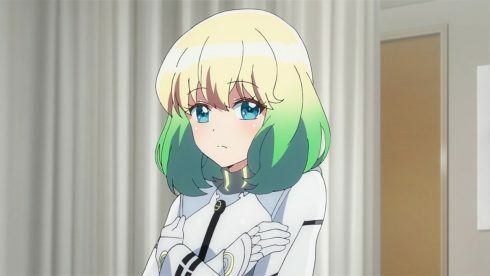 Mayura is a kind person who doesn’t like to see others being hurt. One could argue that if she just wanted to avoid seeing others hurt there are other career choices…but she does have ability here. It was good to see her actually making a bold move to save lives. That put her at risk and could have killed her, but she made the choice to save her friend above staying safe. I’m not sure about the episode going on about her not having talent though. I mean if she’s lacking talent…what do you call the other members at that Dorm? The most those guys seem capable of is creating blades and charging in wildly. I mean really what is the definition of talent for these people? Mayura seems to have more than enough talent for someone who has only been doing this for a couple years. It seems her problem is less a lack of talent and more mindset. She has to get more aggressive if she’s going to fight on the front lines and not just restrain enemies. It was good to learn a bit more about Shimon as well. Certainly can be a shocking thing to see someone so powerful having started out incredibly weak. I can definitely understand why he has such reverence for Seigen and respects him so much. 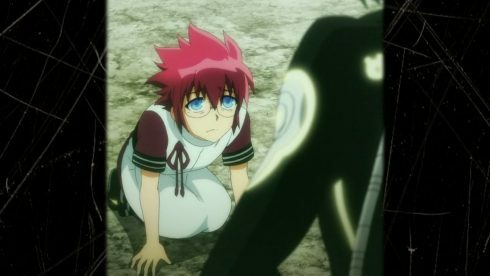 Even though Seigen couldn’t hold a candle to the current Shimon (because of his injury) there is still very much respect there. It does make me appreciate Shimon more to see the work he put in. He may have a strong attitude now, but it’s something that developed as his skills did. And if nothing else…he probably knows how dangerous a road it is to make a move on Mayura XD. 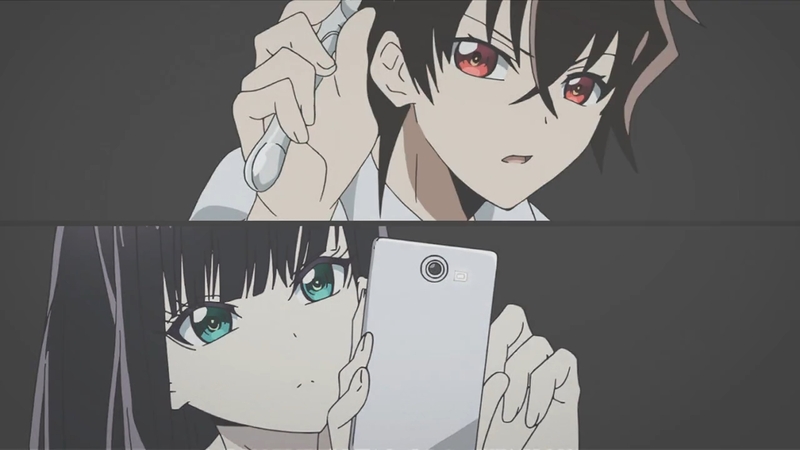 You could describe the new OP as a bit creepy. The visuals were really something that took me by surprise. I’m sure there are probably some interesting manga bits hidden away in there so I’m not going to try and examine it too deeply. I would like a few surprises along the way after all. This OP did give the impression that harsher trials are coming up for Rokuro and Benio. And while it was a bit creepy, the OP definitely stood out. They took some interesting artistic choices there. And it was nice how often the screen was kind of split because this show is supposed to be about dual leads. Rokuro and Benio are the stars of this show. 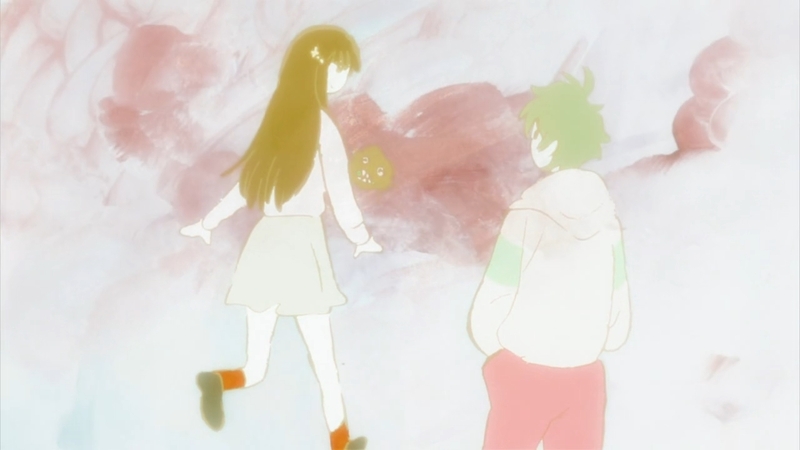 There isn’t as much to say about the new ED though. It was a pretty simple, though a bit of a fun ED. A lot of Rokuro, Benio….and Ohagi Man! If nothing else it was pretty colourful and the song wasn’t bad. It wouldn’t say the song is up there in terms of the EDs of the season, but it wasn’t too bad. 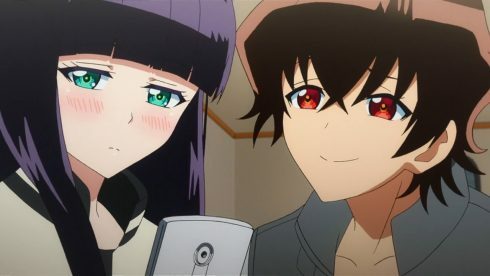 This was a good break from the travels of Benio and Rokuro. Not that I’m lacking in curiosity about Sae. It is simply that a checking in on Mayura was a good change of pace. We got to see her grow a little, learned a bit more about Shimon, and could step away from the immediate crisis somewhat. Now we can dive back in and perhaps start to get some answers. I’m looking forward to seeing how this will all play out.